How Long Do I Have to Sue My Doctor for Medical Malpractice in Pennsylvania? Like all states, Pennsylvania has strict requirements governing the amount of time within which a patient who is harmed by a medical provider’s error may file a lawsuit for medical malpractice. Failure to file a lawsuit within the specified time, called the statute of limitations, bars the claim and leaves the patient without a legal remedy. 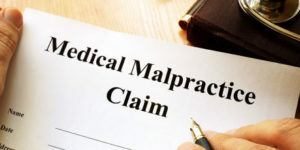 While every case will depend significantly upon its individual facts and circumstances, below you will find a general summary of the law that applies when determining the required time period for filing a medical malpractice lawsuit against doctors, nurses, hospital staff and other healthcare professionals in Pennsylvania. How Long Do I Have to Sue for Medical Malpractice If My Injury Isn’t Immediately Known? When an injury is not immediately known, Pennsylvania law provides that the statute of limitations is tolled (meaning the 2-year “clock” does not begin to run) until the date when the patient knew or should have known about their injury and its relationship to the act or acts of alleged malpractice. This is called the discovery rule. The patient has 2 years from the date when the patient first discovered, or had a reason to know, that they were injured due to the negligence of a healthcare provider. Is There an Ultimate Deadline for Filing a Medical Malpractice Lawsuit That Applies Regardless of When I Discovered My Injury? Lawsuits alleging that a healthcare provider unintentionally left a foreign object (such as a surgical instrument) in a patient’s body are not subject to the 7-year-deadline and can be brought at any time within 2 years of the patient’s discovery of the medical error. The statute of repose does not apply to lawsuits based upon the death of a patient. Those suits must be filed within 2 years after the death unless there is evidence that the healthcare provider affirmatively misrepresented or fraudulently concealed the cause of death. How Long Do Minors Have to File a Medical Malpractice Lawsuit? The statute of limitations is tolled for minors until they reach their 18th birthday, meaning they have until their 20th birthday to file suit. Do All States Have the Same Statute of Limitations as Pennsylvania for Medical Malpractice Lawsuits? No. Every state has its own laws governing the timeframe in which a medical malpractice lawsuit must be filed. If you believe you have been injured by a doctor, nurse, hospital staff, or other healthcare provider, it is important to consult with an attorney immediately to ensure that your lawsuit is filed within the applicable statute of limitations. Failure to do so may result in your suit being time-barred and result in the loss of your legal rights.